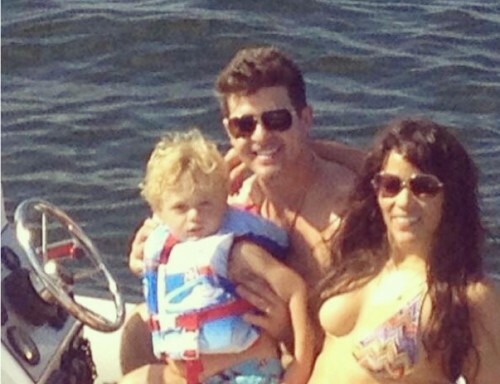 After a Summer of promoting their projects, Paula Patton and Robin Thicke were photographed relaxing on the beach in Miami with their son Julian. The singer wore his signature dress shirt and a pair of shorts as he played with his son in the surf and on the beach. Paula was dressed more for the beach in a sundress and a bandana. Later she wore a little less in a photo Robin shared of the family cruising along the water.